Introdução e integração do hardware áudio digital e software com vista a performance direccionada para eventos ao vivo. A Utilização cada vez maior de hardware e software por parte dos artistas leva a que haja uma plataforma cada vez maior de interação entre todo o “setup” de palco , sintetizadores, drum machines, plataformas de áudio e de vídeo. O que se propõe é aprofundar o conhecimento dos vários interfaces (MIDI, OSC ) com o intuito de integrar todas estas plataformas numa só base. O artista ou performer conseguirá assim controlar e modificar todos os parâmetros do seu liveact através de uma só consola. Os formandos serão capazes de elaborar um “setup” baseado nestes protocolos, e serem capazes de controlar os diversos tipos de hardware e software durante um espétaculo/performance. 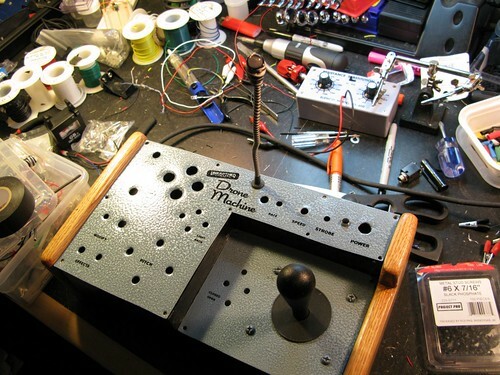 It seems a new sequencer synth thingy as enter the world of electronic music ..welcome. 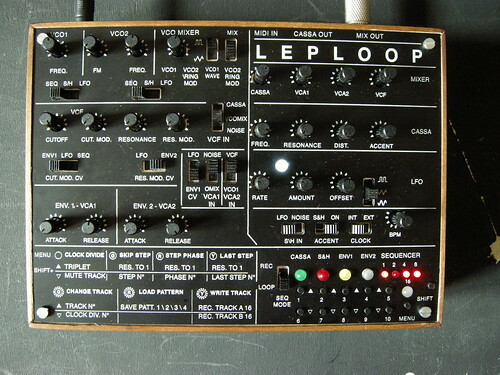 So Leploop is a synth with a sequencer capable of producing some cool sounds, it as some nice design and a beautiful panel, its capable of producing 3 to 4 sounds including bass or melody, a kick , snare or noize and hh. You can read it more in here, development page. Lets start for taking a brief info on the drone machine. 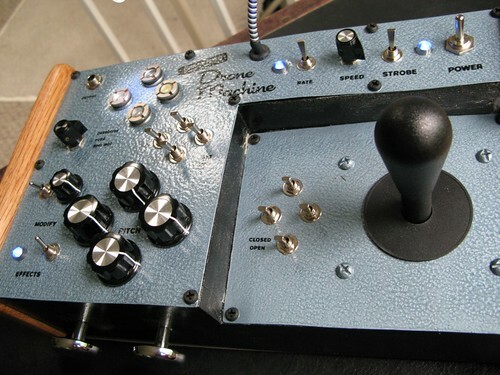 The drone machine looks and sounds really nice and fat, the case design its brilliant with the joystick. But at unearthed circuits there’s also more things to see. This Bitcrusher is really nice, and the Photo trans-activator its simply a strange looking machine. 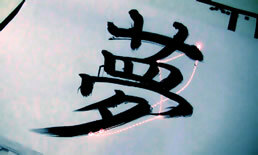 To resume there’s a lot of stuff going at unearthed circuit, music, projects and lots of good ideas.